I have not been traveling much lately and have not even churned credit cards for a while so my point earning opportunities have been less than usual but I’ve earned a LOT of cash back and THOUSANDS of points with purchases e.g. the numerous American Express promotions that have been running. 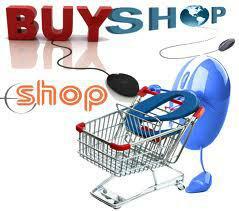 Shopping portals offer the potential to double dip. You get a discount and/or points for using the portal in addition to the points you get for using your credit card. Sometimes it’s a toolbar and other times it’s a third part site that links to the merchant you want to purchase from. When I have an idea about sharing tips / hacks on this blog, I like to research the facts. Sometimes you come across a site that specializes in the topic you were going to write about e.g. Investment sign up bonuses or Free award flights. Instead of trying to copy or re-hash the content of another site, I prefer to link / redirect readers directly to the subject matter experts. FrequentMiler is without doubt the undisputed authority on this topic so please head over here for enlightenment. Trust me you won’t regret it.